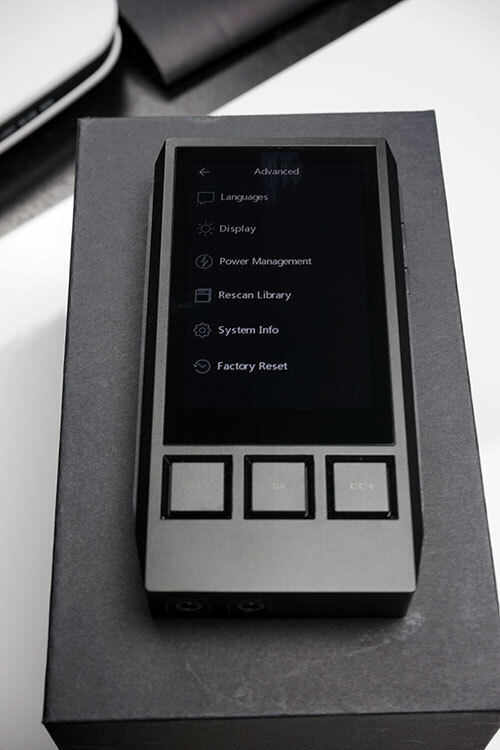 iBasso have elected to stay with a proprietary OS system rather than adopt a vanilla Android like FiiO have done with the X7. 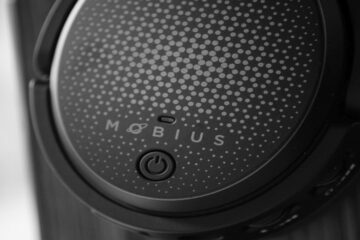 This stays in line with the previous DX50 and DX80 in terms of self-developed OS systems and places it on par with Hidizs, Lotoo, Cayin and FiiO’s X3/X5 DAP’s in terms of wholly owned and developed OS’s purely for audio playback. 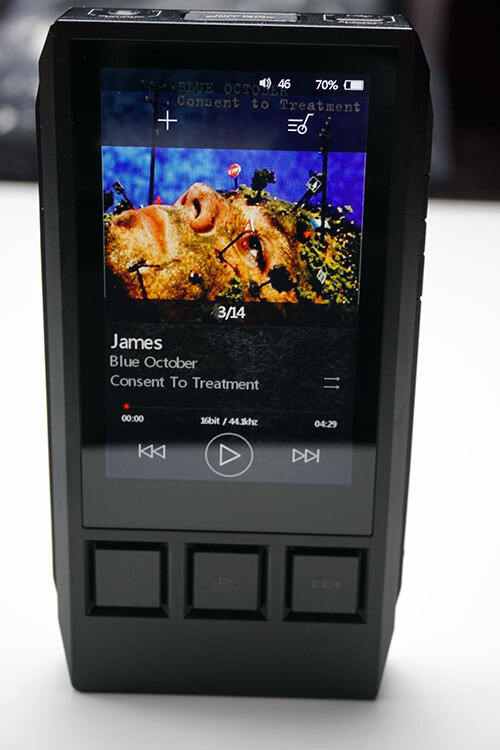 Unlike the X7, Ibasso have elected to stay away from apps, online connectivity and focus instead on pure audio. There are of course pros and cons to this setup and most owners of the previous DX units know all too well what that can mean. On the downside, the DX80, much like the DX50 and DX80, came out with an initial firmware that could be at best described as half baked. In short it had plenty of bugs such as; slot 2 of the microSD slot not working properly in media reading, a line out bug, album art rendering bugs to name but a few. 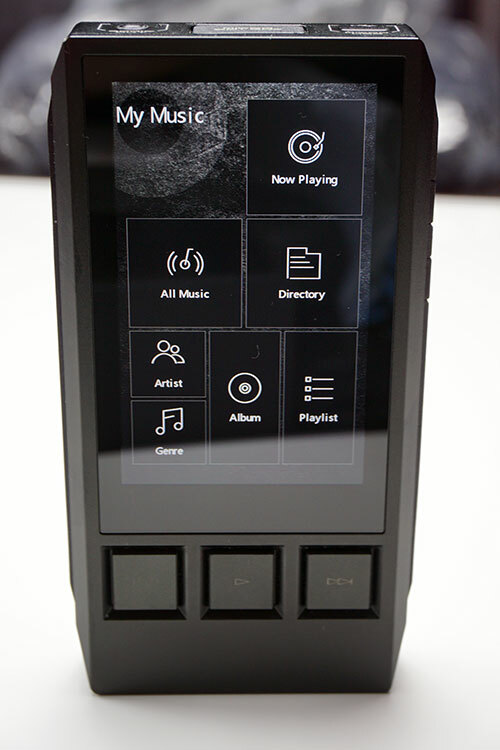 It was not perfect and to be honest, regardless of the visual UI improvements over the DX90 I felt we were right back where we started in terms of launching a DAP that is simply not ready for mass consumer usage. However, the plus side of proprietary OS, is the ability to address those concerns and iBasso have been listening and fixing like crazy in the last few months. The fact that this review is based on a firmware labelled as v1.3.3 will tell you that iBasso have not been sleeping on the job. This is their 6th firmware release since the end of November and I am pretty sure not the last one. Depending on how you look at things you can either argue that multiple updates is proof positive that the DX80 will get better and better, or you can declare it should not have come out with all of those bugs in the first place. Either way it is March 2016 and a lot of this is now moot. Firmware v1.3.3 is where we are right now and I can assure the DX80 is a lot cleaner and more stable than the DX50 or DX90 when they first came out. Updating the DX80 itself is pretty much the same process as any firmware upgradeable DAP these days and in line with previous DX DAP upgrades. Downloading the firmware directly from iBasso’s site is pretty easy and their excellent download page is a synch to follow. Now the major deviation you do have with the firmware upgrade of the DX80 is due to the dual slots and iBasso are pretty specific that it has to be slot 2 and in FAT32 format, (next firmware, v1.1.4 will allow exFAT). You will know if you have the right slot when check in advanced settings if the system update option is available or not. For those having a hard time pushing in their cards note the card slots are on either side of the pcb and as such one goes printed side down and slot 1 goes printed side up. It is a bit fiddly as the rubber flap is quite thick but otherwise once in the upgrade process is relatively quick. Now I do recommend you factory reset once upgraded as per iBasso’s advice. The odd time the LCD touch capability has been desensitized and it did require a fairly deliberate swipe motion to get the UI to move left or right. A few times I did reboot but it soon settled down and worked as per expectation. Firmware V1.3.3 was a breeze, the previous firmware before 1.3.3 did require a manual upgrade from the recovery program using the select SD card option. You can check if you have successfully upgraded by accessing the system info section under advanced settings to see the firmware currently in use. Boot time from power on is on average 7 seconds and you boot right into the playback screen and not a main menu screen. I have seen this a lot in DAP companies. This is not a reflection on iBasso per se and perhaps I am old school but I really would much rather boot into a main menu and go from there and not what I played last or the playback screen. Nine times out of ten I am going straight into the media library or system settings before I start a new session. Is this just me? The playback screen is the first screen you see when you boot up and without a media library scan there is not much there other than battery indicator, volume, album art, current playback mode and the software playback controls. It is perhaps not the most intuitive starting page for the next move which is to swipe right or swipe left. Once you do swipe left or right the UI on the DX80 starts to seem really simple and uncomplicated to use compared to some of the horror stories I have seen before. 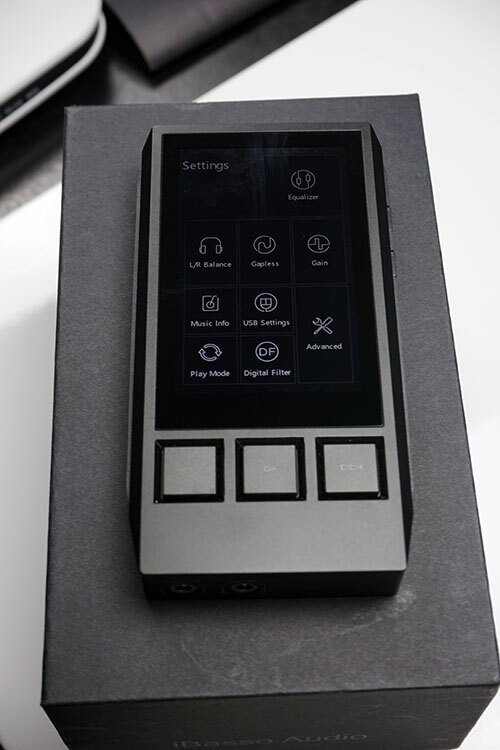 It is much easier to navigate than the DX90 or DX50 UI even though in large parts it is an evolution of the same OS as those two DAP’s used. 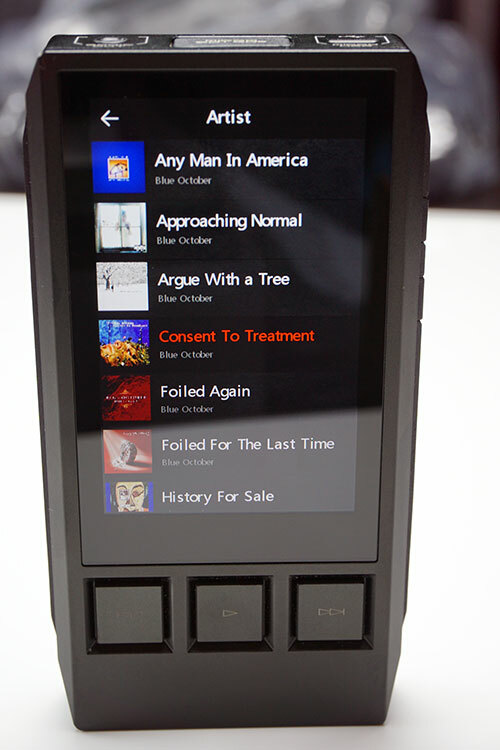 In short the DX80 has but three screens that work in a left and right swipe with the left screen all about the music in terms of what is currently playing, playlists, media library and file exploration. The far right screen are both your system and playback settings including a 10 bad parametric equalizer, left right balance, gapless playback, low and high gain control, USB settings, play mode and the advanced or core system controls. Much like the earlier DAP menu it also has a digital filter that allows you to control the treble performance with a sharp or graduated (slow) roll off function. The central screen is the playback screen which is much the same in terms of options as the earlier DX DAPs with playback controls, album images and meta data display readouts. If you actually compare the DX50 and DX90 menu options to the DX80 you will actually find they are virtually the same in terms of options, just this time the DX80 layout and accessibility is so much easier with the larger screen. There is nothing congested about the DX80 screen. If anything the left and right panel movement is not always the easiest with the rubber casing preventing a clean swipe. An alternative arrow system in the corner might be a useful alternative in future firmware updates. In short it works very well indeed and updating the library is very fast though dependent entirely on the size of the media card you are inserting. A single 64GB SDHC microSD card in slot one took just over a minute to compile and complete with every single meta tag being read 100% accurately. Not even AK units do that which surprised me as I normally tag FLAC and for whatever reason a few DAP’s have problems with reading FLAC file tags leaving quite a few “null” categories. Not the DX80 which capture all album art, all artist, album and genre tags. Impressive stuff! I am also super glad iBasso retained the proper media library drill down feature of genre>artist>album>song and not kept it flat like other OS out there with genre>song. I must admit I did petition iBasso for that and they put it in after some discussion and I couldn’t be happier to see it alive and kicking on the DX80. I like my files orderly and genre drill down is preferred depending on the mood rather than artist especially if you have a few thousand tracks on a large memory card. The playback screen is smooth and responsive and moving to specific sectors of tracks is quite easy enough and works in much the same way as other DAP’s by simply selecting a point in the song timeline and it will jump to that point right away. Long press on the album art will call up the playlist and track info options. From there you can add the song there to a new or existing playlist that you can then directly from the playlist menu in “My Music”. The music info option tells you everything you need to know about the song being played including sample and bit rate as well as Bps, file name, title, album, artist and physical path. Gapless playback was excellent on the DX80. I do not use it that much but for some live albums such as Pink Floyd’s ‘Delicate Sound Of Thunder’ I hardly noticed any transition at all between the tracks which should please those with live or OST album collections. Volume control during playback on the DX80 is a little bit different to the DX90/DX50. The DX50/90 has up an impressive 225 digital steps and the DX80 now has only 150 but to be honest you were not really using a lot of the lower steps on the DX50/90 with the sweet spot closer to 200 meaning the top 30% of the volume range of the DX90 was only ever very useful. With the DX80 you get a lot more useful range with active listening starting as low as 30 in low gain to a very satisfying 65-70 on my most sensitive IEM, the Jupiter from Campfire also on low gain. It can go a lot higher also for more demanding headphones in high gain and beyond 100. Which cowon player would in your opinion would be concidered as an upgrade over the i basso 80? How come the dx80 received a better review (here up) in therms of sound than the dx90, but was underestimated with a level of 7.9 for TONALITY rather than 9.0 for dx90?? I’m confused, please help me. I am one of those reviewers who will not necessarily mark something higher just because I have a personal tonal preference to one thing over another. You have to bow down to technical excellence regardless. A few times I have alluded that the DX90 is technically superior for audio reproduction than the DX80, I think that stands to reason given the DX80’s lower price point. Also we did the DX90 review years ago when the standard was set by the DX90 and a lot of companies have caught up. We do annual revisions of some scores if we feel that time has moved on and the score has diminished but not always. I have not heard the P9 but the stats at 22 ohms 111dB sounds like it can be driven by the DX80. Just comes down to the tonal pairing. Thanks a lot!! Very helpful! I admit my incompetence but I do still have the guts to ask you what would fit with B & W p9 as a hi-fi portable source and amplifier? Sorry for the disturbance. Well as I previously mentioned I have not heard the P9 so I cant help you there. Rating something based on “tonality” is completely useless. What sounds good to you, may sound undesirable to me. Unless it sounds like complete crap, there should not be a scale. It either sounds like music or its way off, that’s all I want to know. These reviews should only be based on quilt quality, functionality and what’s offered. No its a closed UI and not an open Android system. Comparison b/w ibasso D14 bushmaster and Dx80 ? SQ wise is D14 on par or better in some ways ? 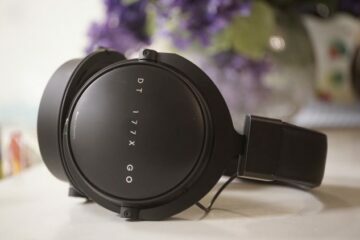 The comparison is a bit oranges and lemons for me given their very different usages but if it is just simply pure audio and you are not double amping your source then the D14 will give you a more vibrant and articulate treble performance than the smoother and more vocal/mids orientated DX80. You decide which signature you prefer and you will have your answer. The hiss for me was only on super sensitive earphones such as the SE846 and Campfire Audio Jupiter. No hiss was detected on the IE800 or the Noble 4C, its really just a sensitivity issue. I wont deny its not there but not as OTT as some make out. I don’t have the N5. It doesn’t stand out for me right now as a must have especially if you have the N6. Doe this mean apps like http://powerampapp.com/ can be used ? Does the DX80 support .m3u playlists? Also, what are your thoughts on the EQ setup for the DX80 compared to the DX90 stock mango os.